Eliminate messes under pet bowls with this absorbent, fast-drying, water-resistant mat with a cute paw-print trim. Non-skid bottom layer prevents shifting. -XL size comfortably fits 9 in. to 11 in. 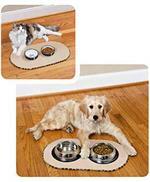 diameter pet bowls, ideal for large dogs or multi-dog homes. -Highly durable and machine washable in cold water with liquid detergent - tumble dry low. 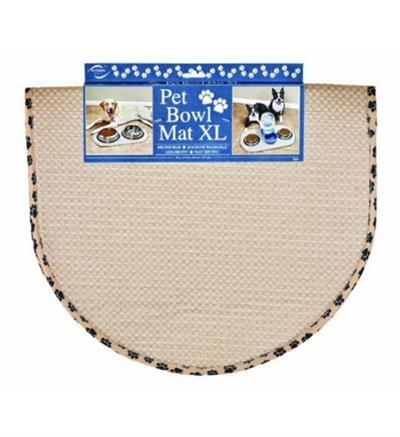 -Backing has anti-skid bumps to help keep the mat in place. -Absorbs up to 4 times its weight in water and radiates moisture from point of origin to help keep floors clean and dry. - Helps protect floors from splashes and spills.